Wafaa BinAli, M.N., R.N., is an international student from Saudi Arabia, where very few nurses have doctorates. 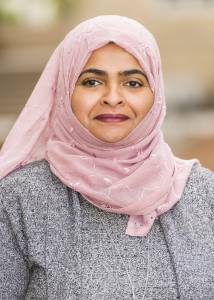 She came to the United States to conduct research in acute kidney injury at the School of Nursing, where a number of faculty members conduct research on critical care. Dena Hassouneh, Ph.D., R.N., and Kristin Lutz Ph.D., R.N., from the School of Nursing are on her committee. Wafaa’s goal is to advance critical care medicine and to move nursing in Saudi Arabia to the forefront. What are you working on and why is it a big deal? 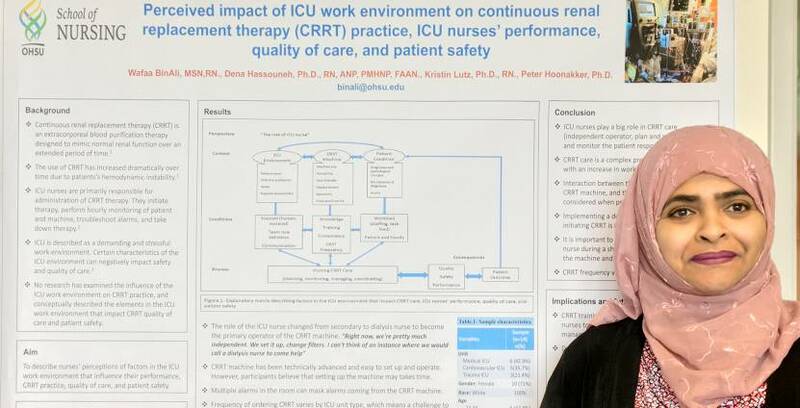 I am looking at how nurses in intensive care units perceive the impact of the ICU work environment on continuous renal replacement therapy practice. Connecting and building rapport with nurses gives me valuable data. I tried to convey their messages through my research. CRRT is a form of dialysis and it is the therapy of choice for critically ill patients due to their hemodynamic instability. The use of CRRT has increased dramatically over the past decade and management of CRRT has become a core competency in critical care nursing. It is considered a complex and high-risk therapy, and is provided in ICUs. Research has shown that the highly demanding and stressful ICU environment can impact the quality and safety of the work of nurses performing patient care tasks. So far, no study has identified factors within the ICU work environment that are perceived to impact CRRT practice. The purpose of my study is to identify and describe factors in the ICU work environment that are perceived to influence the performance of ICU nurses and impact CRRT practice, quality of care and patient safety. I am also developing a CRRT-specific instrument to measure the perceived impact of ICU work environment on CRRT practice. Using this instrument to identify these factors can help develop targeted interventions that promote safe and effective CRRT practice. My goal is to help future research linking the impact of ICU work environments on CRRT practice with patient outcomes—and reduce ICU stay, adverse events and duration of therapy. Wafaa BinAli is helping explain how factors in the intensive care unit can affect patient care. What’s been your most exciting moment in discovery? The most exciting moment in my discovery was when I developed a theoretical framework explaining the relationship between factors in the ICU work environment and their impact on CRRT practice. I interviewed a group of ICU nurses, and to hear their stories and for them to share all these information with me was amazing. The voices of ICU nurses regarding the care they provided to their patient when managing CRRT must be heard and documented. Another interesting point in my journey is the development of a new instrument and testing it in a national sample of American ICU nurses to establish its psychometric properties. This is very exciting for me because I view the field of health care as a big puzzle and each one of us, as researchers, brings our unique puzzle piece in an attempt to complete the picture. I am developing my unique puzzle piece. What’s your day-to-day life as a researcher look like? The day-to-day activities range between recruiting study participants, conducting interviews and collecting data, analyzing data, writing up analysis and reports, disseminating results to others, and connecting with others who share the same interest. In addition to working on my research, as an appreciation to all the help and support I received so far, I am trying to pay it forward by helping novice researchers and research assistants on how to use statistical software in research analysis. My motto is that “I am a part of a research community, and I can bring others to join this community,” as we do need more well-trained researchers to work collaboratively to help serve humankind. 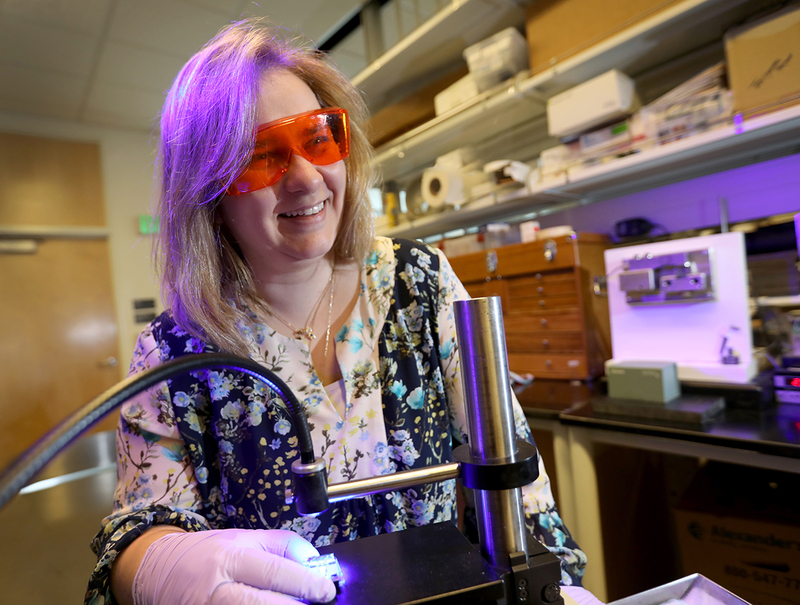 In the Lab looks at the people in the laboratories — and in clinics — who help make OHSU such a vibrant research institution. In each post, researchers and clinician scientists describe their current work and answer the same three questions. Have someone you want to see featured? Email Strategic Communications.